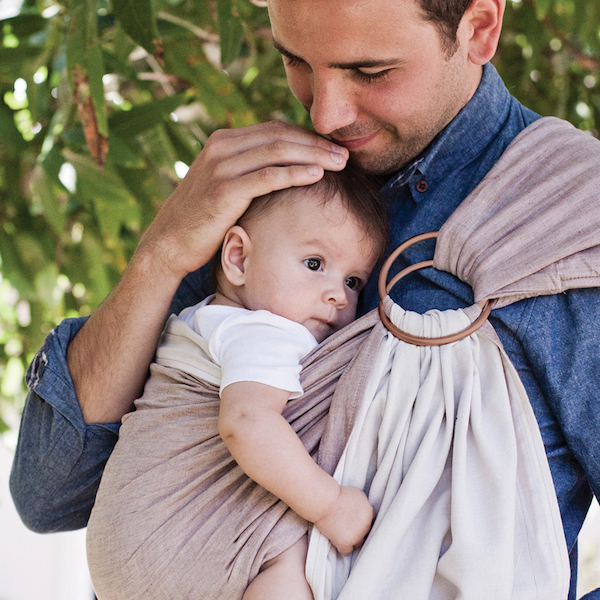 Cool, lightweight and simple to use, these are a contemporary design of the traditional baby sling. The adjustment system allows good weight distribution across your shoulders and back, allowing the Ring Sling to be used as a baby carrier from birth to 3 years of age. All colours reversible. 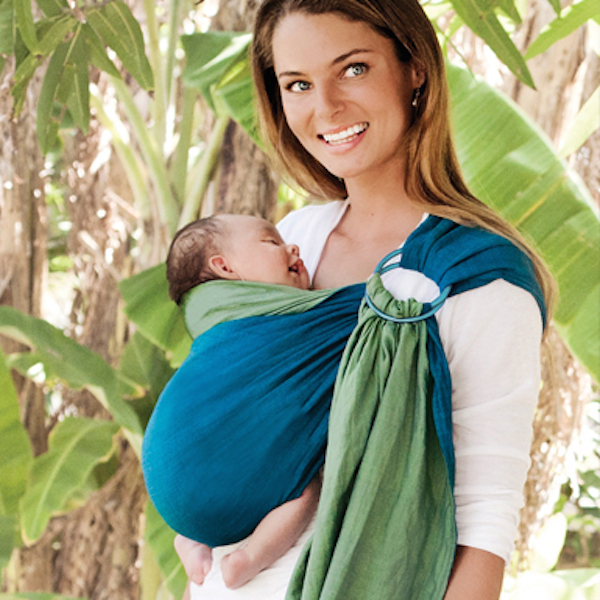 The popular Hug-a-Bub Traditional Ring Sling is a lightly padded contemporary interpretation of the traditional baby slings. This baby carrier is cool, lightweight and simple to use, and offers five positions to meet the needs of you and your baby from birth to 3 years of age. 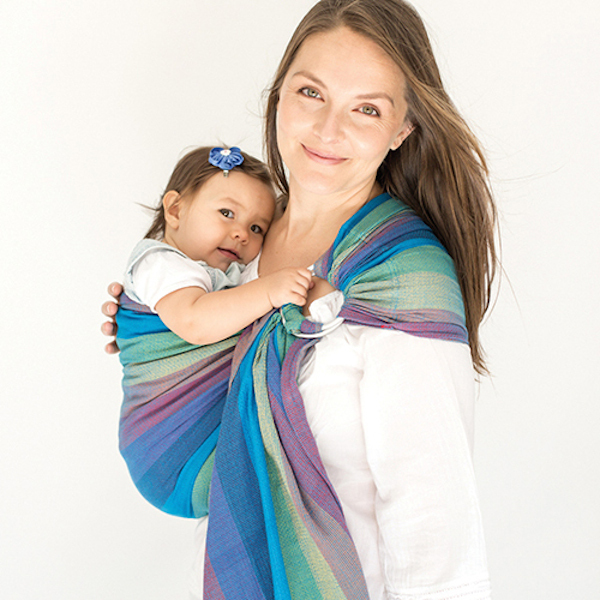 The Hug-a-Bub Traditional Ring Sling’s adjustment system draws your baby close against your body, which creates a good weight distribution across your shoulders and back, while supporting your baby’s head and spine. This leaves your hands free to get on with life while keeping your baby close. 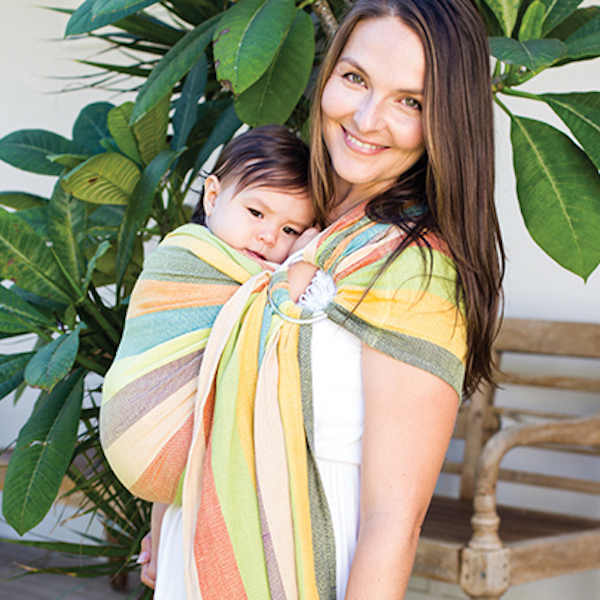 This Hugabub ring sling carrier is a must for any parent who wants to stay active and involved in their own world as well as their baby’s.